Resistance to the crown in the years following the Battle of Bothwell Bridge was offered only by the most extreme Presbyterians, and those extremists tended also to be the least influential in social and economic terms. Both circumstances encouraged the king's agents to adopt the harsh measures which have earned for these years the name 'The Killing Times'. 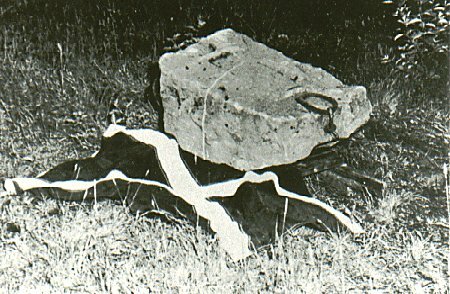 The Queensferry Declaration was followed within a matter of days by the Sanquhar Declaration of 22 June. The Sanquhar document announced that its sponsors 'disown Charles Stuart. We do declare a war with such a tyrant and usurper . . . and against all such as have . . . sided with or in any wise acknowledged him in his tyranny.' In other words, the men who issued these statements were talking politics, and the politics of treason. The Queensferry paper was the work of Donald Cargill, former minister of the Barony Church in Glasgow, banished to live North of the Tay in 1662. For close on twenty years he was one of the leading field preachers until his capture near Lanark in July 1681 and his execution shortly thereafter. The Sanquhar Declaration was read at the town cross by Richard Cameron. In 1680 Cameron was thirty-two, a native of Falkland, educated at St. Andrews and in October 1679, he became a leading organiser of, and preacher at, conventicles. He was thus a hunted man even before his demonstration at Sanquhar, and the king's soldiers were hot on his heels. On 22 July Cameron, with sixty-three followers, was caught and attacked at Airds Moss, near Sorn. As the troopers charged upon them Cameron prayed, ' Lord spare the green and take the ripe.' - and died there at the head of his little army. Cameron's name came to be applied to those who still continued to defy and resist. Presbyterians were in general cowed and silent. Even 'Covenanters' is too wide a term to apply to the resisters. Instead, they came to be identified as 'Cameronians'. Leadership of the Cameronians was taken up by James Renwick whose 'Apologetical Declaration' of October 1684 defined the king and all his servants as 'enemies to God and the covenanted work of reformation', to be punished as such. Following upon this latest pronouncement, soldiers were empowered to administer to any suspect, an oath whereby the suspect disclaimed all support for this Declaration. Any who refused the oath were shot on the spot. Thus The Killing Times happened. The martyrs shot or drowned by the army, or arrested and hanged, suffered not for their religious beliefs, but for the political rebellion into which their religious beliefs had led them. The chief official in Scotland as the Killing Times proceeded was the king's brother and heir, James, Duke of York and Albany. James, a convert to Catholicism had fallen victim to an anti-Catholic political crisis in England in 1679, and had been sent to Scotland as Royal Commissioner to get him out of the way as that crisis was dealt with. He thus became identified in Scotland as having responsibility for the worst persecution of the Cameronians. This reputation was quickly recalled when in 1685 Charles II died, and James succeeded to the thrones of the two kingdoms. His accession was greeted by another Sanquhar Declaration, which described the proclamation of James as 'choosing a murderer to be governor, who hath shed the blood of the saints of God.' The Cameronians were not alone in their misgivings. Moderates were in the next few years, turned into extremists by James's policies. In 1688 English politicians, deeply hostile to his conduct of government, were prompted to immediate action by the birth to James's second wife of a son who would succeed his father, and continue a dynasty of catholic kings. A conspiracy involving powerful English politicians, of varying political beliefs, was formed to bring James under their control. To assist them in this enterprise, they invited the ruler of Holland, William of Orange, to come to England with an armed force sufficient to reduce James to obedience. William's readiness to accept the invitation was confirmed by the fact that his wife, Mary, was James's elder daughter, who would have succeeded her father but for the birth of this unexpected and inopportune son. He had long anticipated the day when his wife would succeed in England; and English money, English ships, and English influence would be available for his use in his life's work, which was to save Holland from France. So he responded to the invitation, landed in England, and prompted James to escape into exile in France. After some confusion the English Parliament conferred upon William and Mary the joint sovereignty of their country. What now would the Scots do? Just as in 1660 royalist triumph in England had delivered Scotland into royalist hands, so now events in England offered the Scots a chance to escape from those particular hands. The Convention of Estates which met in Edinburgh on 14 March 1689 had three options. They could stand by the exiled James; they could follow the English lead and give the Scottish crown to William and Mary, or they could accept neither, and instead try to create a republic. There is substantial evidence to show that many of them would have liked to have a republic, as many men had come to believe that all kings were liable to become oppressors, but the practical difficulties were too great for most to regard the republican option as realistic. But they could agree upon the next best thing, which was to make the future monarchy as like a republic as possible. They agreed that they would follow England's lead, and offer the throne to William and Mary, but upon conditions. If the new sovereigns would take a Coronation Oath, whose main point was to pledge to maintain a Presbyterian form of church government; if they would accept the Claim of Right, rejecting James's religion and the various repressive actions of Charles II and James; and if they would promise redress to a list of 'Grievances', including the Episcopal essentials of prelacy, patronage and royal supremacy over the church, then they would be accepted. The first two conditions were quickly accepted, and William and Mary became king and queen of Scots. Two struggles, one military and one political, now followed. Those who had wished to stand by James, and had seen their wishes over-ruled, now turned to attempt a military counter-revolution. The leader was John Graham of Claverhouse, upon whom James had conferred the title of Viscount Dundee. Leaving the Convention, in which he had been out-voted, and leaving Edinburgh where his life was in danger from the many friends, relatives and supporters of his late victims, Dundee turned north to raise an army for King James. 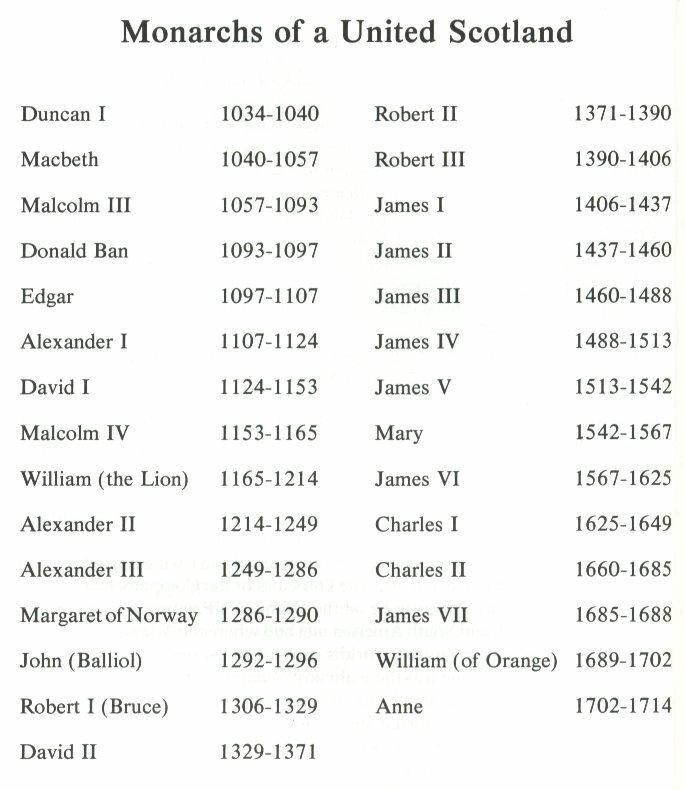 Thus came into being the political faction which sought to restore King James and his dynasty, to which attaches the name Jacobites (from the Latin Jacobus, James). 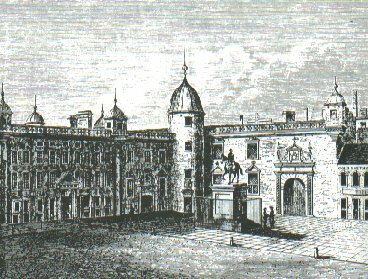 By July, Dundee was active in the Atholl area, and the new government in Edinburgh sent a force north to deal with him. Just north of Killiecrankie Dundee shattered the army of General Hugh MacKay, and opened the way south to Perth and thence to Edinburgh. But Dundee himself was dead, killed in the battle. The Jacobite command passed to Colonel Cannon, a professional soldier and a good one, but lacking the brilliance of Dundee. Still, the politicians in Edinburgh expected the Jacobites to be among them at any moment, and many panic-stricken departures took place. MacKay's army was broken and no force seemed available to stand in the path of Cannon and his men. But one force did exist; a force of volunteers, highly motivated and with a fierce, cold hatred of King James and all he had stood for. A regiment had been raised from the ranks of the persecuted Cameronians; and that regiment, under its Colonel, William Clelland, took up position in Dunkeld and stood there to receive the Jacobite attack when it came. So, the two extremes of Scottish politics confronted each other. They fought for everything in Dunkeld - for hedges, ditches, walls, houses, roofs and rooms. It was a savage battle because it was an ideological one, a classically bitter and vicious civil war in miniature. Clelland died, but his men held Dunkeld, and the Jacobite force retired, dispersed and ceased to exist. The Cameronians survived, to become a regiment in the British army, with their depot and recruiting zone in the Lanarkshire and Ayrshire moorland towns and villages, in which their traditions had begun. The political struggle took longer. The Coronation Oath and the Claim of Right had been quickly accepted by William, but he was not at all ready to redress the Grievances. The second 'Grievance' was royal supremacy over the church, and this William would have preferred to retain. The first, significantly, was the Committee of the Articles, by means of which kings had controlled parliamentary business. The simple truth was that William did not wish to give up any royal powers, having as much sense of his own importance as any of his predecessors. He and his supporters argued that however bad past kings had been, William was good and trustworthy, and would not abuse his powers. The view of the majority in the Convention was that any king left with the power to oppress was always likely to become an oppressor, and the present chance to diminish royal power must be taken. Only after a year of political manoeuvring was William forced to admit defeat, and in May 1690 the hated committee passed out of existence. The result was that the Scottish Parliament was free of royal dictation, passed on from London to obedient officials for implementation. It was free to develop policies and to decide on issues. It was free to take initiatives in diplomacy and commerce. All of its plans could be made with what were judged to be the best interests of Scotland in mind. One might have thought that such a happy state of affairs would endure virtually for ever. But what if the best interests of Scotland were not the best interests of England? And if the Scots pursued their own best interests regardless, how would England react? The immediate concern facing the officials of the new government was to ensure, as far as they could, good order throughout the country. Dundee's rising had given them a severe fright. 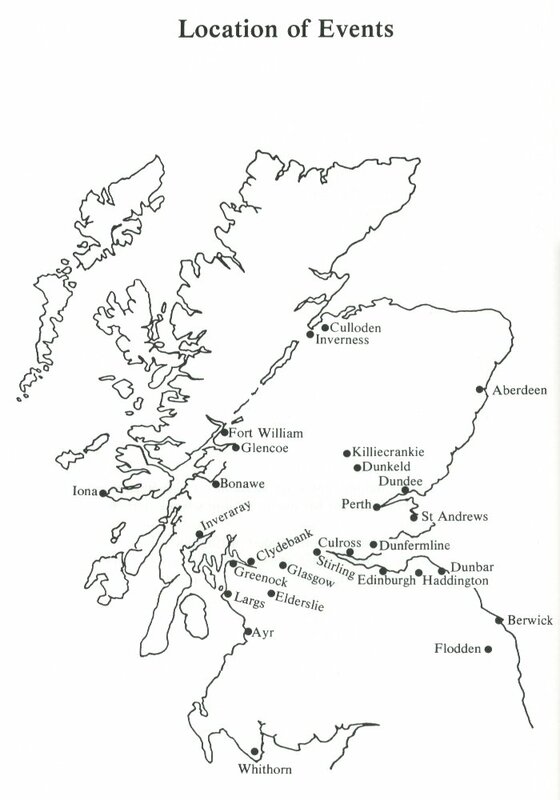 First Montrose, and then Dundee had been able to use the Highlands as a source of recruits for armies with which possibly to coerce the government and politicians in Edinburgh. 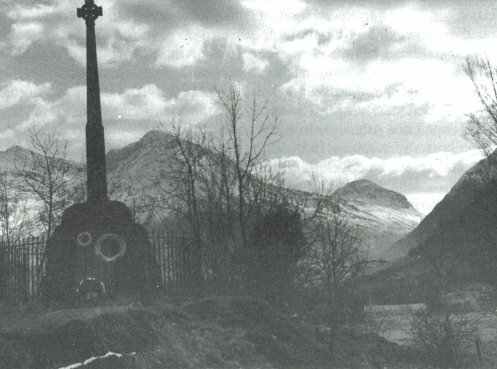 It was natural that peace in the Highlands was a prime objective of William's administrators. The question was how best that objective might be secured. The first method which they tried was bribery. The Earl of Breadalbane, chief of the Campbells of Glenorchy and northern Perthshire, was given money - £6000 we are given to understand - with which to bribe chiefs into a happy relationship with the new regime. Breadalbane unfortunately, was a quite outstandingly devious and unscrupulous person, and he gave priority to bribing himself. And why not? The result was that when he and others met to discuss the distribution of incentives the meeting broke up in accusations and recrimination. Having used the carrot, and found it inadequate, the government now decided to use the stick. All Highland chiefs were to be required to take an oath of loyalty to William before New Year 1692. Any who refused would find themselves victims of traditional 'fire and sword' punitive expeditions. It was thought probable that the pride or honour of some of the chiefs would make them openly defiant. The king's Secretary of State in Edinburgh, John Dalrymple of Stair (once Lord Advocate to King James before a timely change of sides), had high hopes of catching in the net one or other of the most defiant of the MacDonald chiefs, Keppoch or Glengarry. As the months passed and oaths were duly taken, the sheriffs sent their reports back to Edinburgh, where, in early January, Dalrymple and his colleagues excitedly began their scrutiny of the documents. To their dismay they found that no chief had refused. Deeply incredulous and frustrated they re-examined, and found a flaw in the submission of MacIan MacDonald of Glencoe, who had gone to Fort William to take the oath only to find that he had to go instead to Inveraray. As a result his oath was taken after the deadline set. He was not quite Keppoch or Glengarry, but he would do, and so instructions to the appropriate army officials were sent, ordering them to proceed against MacIan and his clan 'to burn their houses, seize or destroy their goods or cattle, plenishing or clothes, and to cut off the men.' 'Men' were defined on these occasions as males between the ages of seven and seventy. 'It will be a proper vindication of the public justice to extirpate that sect of thieves' was Dalrymple's opinion. The story of Glencoe is sadly familiar. Parties of soldiers guarded each end of the glen, while another was sent in to live in billets among the MacDonalds until the time came to carry out their orders. Their story was that they were merely pausing in the glen for a little while before moving on towards the Keppoch and Glengarry areas. On 12 February, Major Duncanson gave the official orders to the Captain of the forces in the glen, Robert Campbell of Glenlyon. If only Glenlyon had had another surname much misunderstanding would have been avoided in later years. Because he was called 'Campbell' virtually everyone who knows about Glencoe assumes it to have been just another clan battle. The fact that such a notion is nonsense has proved insufficient to alter public perception, and those really responsible have enjoyed a quite unearned alibi. 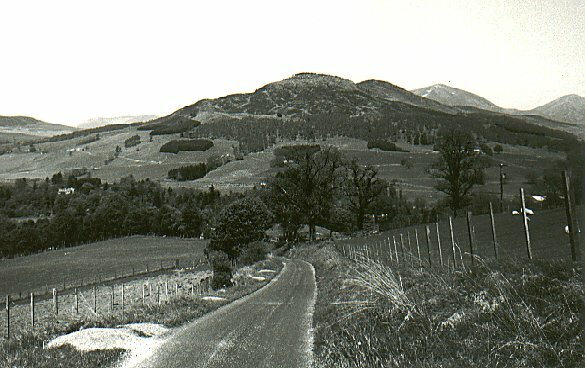 Glenlyon did as he was told. MacIan, his wife, and most of his clansfolk were shot and stabbed during the early hours of the morning. His son led a party of survivors over the mountains and the snowdrifts to find refuge among the Stewarts of Appin to the south and west of Glencoe. the Campbells. But no one really had any doubt as to where blame really lay. The MacDonalds were slaughtered, not by a rival clan but by regular soldiers, servants of the state, in the king's uniform, on the instructions of the king's Secretary supported by the signature of the king himself. Glencoe, then, never provoked the political crisis which it might properly have done, and for the remainder of the 1690s the Scottish Parliament was preoccupied with more material concerns. Ever since 1603 the Scots had cherished the hope that they might be allowed, as subjects of the same king, to share in trade with England's colonies, but the English, like all colonial powers of the time, would never dream of granting any such rights. Colonies were seen as assets to be monopolised for the benefit of the country to which they belonged and all interlopers were fiercely excluded. James VI had tried to organise some sort of fuller union of his two kingdoms, but the English were not in the least interested. On numerous occasions Scottish Parliaments hopefully appointed committees to negotiate union with England, but the English were not interested. Anxious to diversify and expand their trade, the Scots now embarked upon an alternative approach. If they could not gain access to England's colonies why should they not simply establish colonies of their own? Such colonies would be a source of raw materials, a market for Scottish produce and a base for her ocean-going traders. Thus the Scottish Parliament encouraged and authorised the formation of 'The Company of Scotland Trading to Africa and the Indies', and the Company would establish a colony as its base and the beginnings of a Scottish commercial network. Such a venture would require large sums of money. A fleet would have to be organised, equipped, provisioned and provided with cargoes. Scotland did not really have the amount of capital to make such investment, but help was at hand. England's laws excluded, from England's colonies and markets in large areas of the world, even English merchants who were not members of the great East India Company. The influence of that company was vigorously maintained by many members of the House of Lords and several hundred members of the House of Commons. Englishmen who were not in the East India Company had chafed for years over their disadvantage. But the English Parliament had no jurisdiction whatsoever over a Scottish company, and so many English merchants gleefully and legally rushed to invest in the Scottish company. Dutch merchants followed suit and the Company of Scotland looked like being a great success. At this point the 'East Indiamen' in the English Parliament awoke to their danger, and belaboured William with demands that he stop the Company of Scotland; or if that was, for some reason which escaped them, impossible, then he must forbid English subjects - or Dutch subjects - to invest in the Scottish venture. Under severe parliamentary pressure William agreed, and by English law Englishmen were now forced to withdraw from the enterprise. The Scots at this point would have been wise if they had stopped to reconsider their plan, but pride was now involved and in an astonishing outburst of patriotic defiance they now subscribed enough money to make good the sums withdrawn by English and Dutch defectors. At what a cost to the country became in due course apparent. Comparatively poor and humble people bought one share, or would join with others to make a collective purchase of one share. By an amazing national effort the necessary funds were raised and the preparation of the fleet carried out. The Directors of the Company had selected the site of their colony. It was to be on the Isthmus of Panama, at a spot called Darien, where North and South America met and where the Atlantic and Pacific met. Darien was as near to the world's crossroads as one could imagine. It seemed strange that no one was there already. What they did not appreciate was that the climate of the area, and the hazards to health from fever and all possible tropical infections, had deterred the Spanish, who were in control of the surrounding area, from actually occupying Darien. However, if any outside power showed interest, Spain would certainly oppose them. In July 1698, seven ships sailed from Leith for Darien. Their cargoes included heavy textiles - canvas, linen, serge, homespun cloth and blankets. They carried also shoes, stockings and slippers; wigs, bibles and Kilmarnock bonnets; oatmeal and twenty-nine barrels of clay pipes. Clearly they had much to learn about trading in the tropics, trading with native Indians, and the unwisdom of carrying protestant bibles into a Spanish-influenced area. The first fleet landed; established a base called Fort St. Andrew, and proclaimed the new colony of New Caledonia. Soon fever struck; the natives proved unfriendly, and a Spanish expedition prepared to march against them. They hung on doggedly, twice being ready to evacuate but each time inspired to stay because reinforcements reached them in two fleets, one of two ships from Leith in May 1699, and a third of four ships from Rothesay in September 1699. But the Spaniards closed in upon Fort St Andrew. The Scots sent pleas for help to the English governors - subjects of King William like themselves - of Jamaica and Nova Scotia, but the governors were under orders to give no help whatever. William needed the goodwill of the English Parliament, and he wanted also to maintain friendly relations with Spain. The Scots therefore were left to surrender to the Spanish force whose commander, impressed by the brave conduct of Campbell of Fonab and the Scottish garrison, allowed the starved, half-dead survivors to march out in honour, leaving their country's colonial ambitions in ruins. Because hopes had run so high Scottish bitterness over the Darien disaster was correspondingly great. Financial ruin had come upon thousands, and in their distress and their anger Scots singled out English ill-will as the major cause of their tragedy, and feeling against England and King William ran high. At this point, with friendship between the two parliaments and peoples at a particularly low ebb, the English Parliament in 1701 moved to deal with a problem which had been causing them much concern. The marriage of William and Mary had been childless, and Mary was now dead. Mary's sister Anne, younger daughter of King James, was next in line according to the law of England, but her children all had died in infancy, except for the Duke of Gloucester who survived for a few years. So there was a succession problem, and the English Parliament in 1701 passed the Act of Settlement to provide for an orderly succession when the need arose. 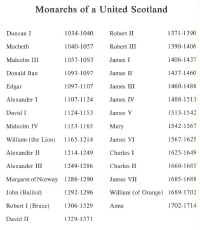 All Catholic claimants - the son and descendants of King James for instance - were debarred. 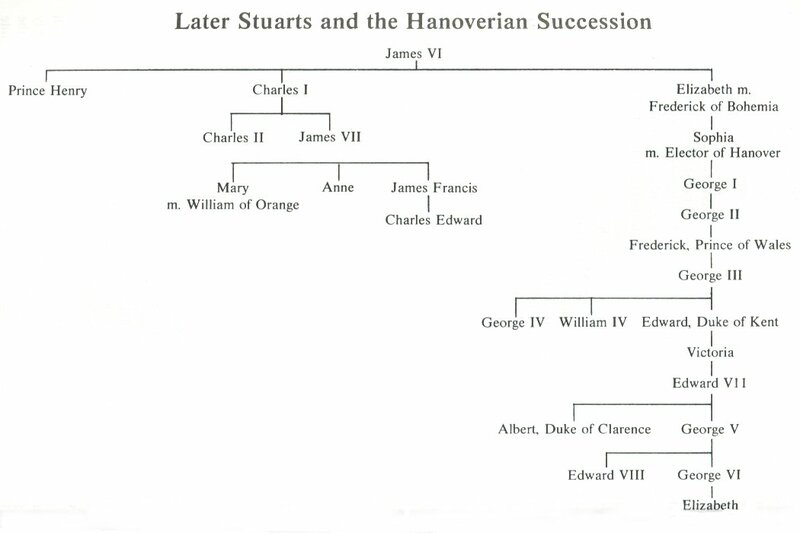 William was to reign until his death, after him Anne, and after Anne, if none of her children survived, was to come Sophia of Hanover, daughter of Elizabeth, Queen of Bohemia and grand-daughter of James VI. The Scots observed the English action and saw an opportunity to apply pressure. They had no more desire than had their English counterparts to see the restoration of the Stewarts, but the English Act had been passed without any consultation with the Scots, and once again English politicians had revealed an arrogant assumption that whatever England did, Scotland would automatically accept. In their bitterness over Darien and their irritation at this latest high-handed action by the English, the Scots turned their minds to the possibility of blackmail. The Protestant succession and the guarantee that the Stewarts were gone forever were the two fundamental needs of English politicians. If the Scots were to play upon these fears they might perhaps extort commercial concessions which England had for so long denied them. Thus, in 1703, the Scottish Parliament passed the Act of Security which stated that on the death of Queen Anne, Scotland would not accept the same monarch as England unless Scots were granted equality of access to England's colonial markets. If the Scots persevered, and carried their Act into effect, England faced a choice between two unattractive alternatives; either the Scots would breach her monopoly of her colonial trade, or a Stewart king, with French friends, might be back in Edinburgh. Strategically the two countries might be back in 1560, with Scotland a base for French mischief-making to England's detriment. It was not very likely that such an event would really come to pass, Scottish memories of the Stewarts from 1660 onwards being as they were. They probably gave the identity of their possible separate monarch no serious thought, in the belief that things would never be allowed to reach such a stage. They were quite right, though hardly in the way they expected. They had forgotten that blackmail is a game that two can play, and that England might find some way to counter Scottish plans. The English answer was brutally effective. By the terms of the English Alien Act of 1705 the English moved '. . . for the effectual securing the kingdom of England from the apparent dangers that may arise from several acts lately passed by the parliament of Scotland.' They had two telling blows to deal the Scots. 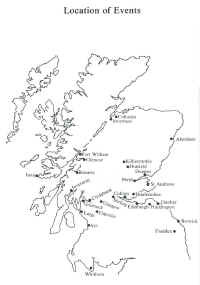 Firstly, all inheritance of property in England by Scots would cease; and secondly, all English purchases of Scottish goods and produce would cease, as from 25 December 1705, unless by then, the Scots had agreed to the terms of the English Act of Settlement and the Hanoverian succession. The first condition was a severe jolt to the Scottish nobility and gentry who held property in England; the second spelt economic ruin for Scotland. The dangerous consequences of over-dependence upon England as a market for Scottish goods, and the neglect and decay of trade with other European countries, were now starkly apparent. The Scots had no alternative now but to come to some sort of agreement. The English offer went part of the way to meet the Scots' ambitions. Yes, the Scots could trade in future with England's colonies, but in order to earn this benefit they would have to surrender their independent parliament. One parliament would now serve both kingdoms, and the Scots would merely have representation in the parliament in London. On this basis, the Scots agreed to begin discussions in London, while for their part, the English government concentrated an army under General Wade at Newcastle, indicating that conquest was a possible outcome if the Scots should too long delay in coming to terms. To describe the discussions as 'negotiations' is to misuse language. Each day began with the English delegation placing before the Scots the proposal to which their consent was that day required, and the English thereafter went about their ordinary business leaving the Scots to wrangle among themselves. When the proposals emerged the English Parliament passed them without opposition and with no great interest. For the Scots the debate was in the fullest sense historic. They were deciding whether or not they could, or should, attempt to maintain their political identity or, in other words, their independence. One side, whose chief spokesman was Andrew Fletcher of Saltoun, concentrated on the fact that Scotland's nationhood was at stake, while the other essentially argued that Scots had no alternative under such economic pressures; and that in any case, a defiant, independent Scotland could not in the future prosper. No one mentioned General Wade, but everyone knew where he was, and why he was there. When the Scots came to vote on 16 January 1707, the vital first clause was carried by 116 to 83. The final vote, to accept or reject the Act of Union as a whole, was carried by 110 to 69. The majority is clear, though when looked at more closely opinion was not quite so one-sided. The nobles voted 46-21 in favour of the first clause, and 42-19 on the final bargain. Corresponding figures for the shire commissioners were 37-33 and 38-30; and for the burghs 33-29 and 30-20. The more popular representatives, in other words, were fairly evenly divided, and the convincing majority was provided by the lords. Many Scots, at the time and since, have attributed the behaviour, of the nobles at least, to bribery; and others have piously deplored any such suggestion. The truth is that in the eighteenth century any parliamentary decision of any significance was attended by the offer and receipt of favours and inducements. That is how business, in the absence of a party system, was done. It would be an occasion for the most profound surprise to find that bribery had played no part in the making of the Union. Argyle for instance, let it be known that he would not even attend if he was not rewarded. He wanted to be a general in the army, and he wanted a peerage for his little brother Archie. Argyle became a Major General and Duke of Greenwich. Lord Archie became Earl of Islay, and a much better politician than his brother. In the new - if it was new - Parliament, there would sit sixteen Scottish peers and forty-five members of the House of Commons. Coinage, weights and measures, and commercial measures generally were to be uniform throughout the completely unitary state of 'Great Britain'. But Scots Law was to continue as before, and the Presbyterian structure of the Church was guaranteed. Thus was secured the goodwill of two powerful vested interests which might otherwise have become exceedingly awkward. So Scotland was gone, and the rest of the world knew her not. For England nothing had changed. English rulers had never seriously or sincerely accepted Scotland's separate identity anyway, and the presence of Scots in the English parliament seemed to them just as it should be. Some of the terms of the Union were set aside before long when English opinion saw fit to require change. Taxes on malt were imposed earlier than had been promised; and the power of landowners to appoint local ministers, abolished in 1690, was restored in 1712, to remain in the church as an affront to Presbyterian theory.